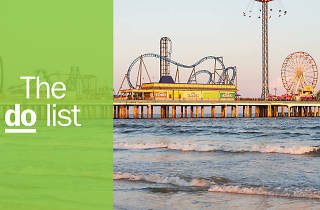 Galveston is, hands down, Texas’s best vacation destination. This charming, kitschy beach playground is located just 50 miles from Houston, near the northern tip of a 600-mile stretch of coastline that straddles Galveston Bay and the Gulf of Mexico. 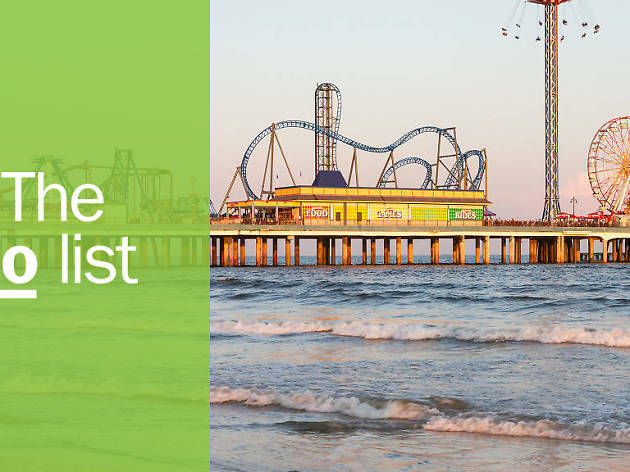 In addition to Galveston’s beaches, there are dozens of awesome, family-friendly entertainment options, shops and restaurants to enjoy here. Sample freshly caught seafood, hike in the state park, explore the area’s colorful cultural attractions, stroll through historic downtown districts or simply relax on the beach and frolic in the Gulf. Whatever you decide to do on your Galveston vacation, chances are you won’t want to return home anytime soon. What is it? A dazzling, 242-acre aquatic theme park with nine major attractions, made famous for its three giant glass pyramid structure which house interactive exhibits, an aquarium and a rainforest habitat. Why go? The pyramids at Moody Garden are much more than just architectural wonders: They’re immersive worlds. Visitors will have the chance to explore the rainforest, get an up-close-and-personal look at sea creatures and discover dozens of exhibits that will educate and inspire kids of all ages. And, if you’re up for an adrenaline-fueled adventure, be sure to ride the zip-line and experience the tallest rope course on the Gulf Coast. What is it? The 1877 Tall Ship Elissa, located at the Texas Seaport Museum, has been designated one of America’s Treasures by the National Trust for Historic Preservation. Why go? Exploring this historic ship is a surprisingly fascinating experience: The Elissa is one of the world’s oldest sailing hulls that’s still in operation. Visitors can peruse the ship’s exhibits, check out the museum and delve into the history of the Port of Galveston. What is it? A lovely state park nestled on the western end of the island, where visitors can explore both Galveston Bay and the Gulf. Why go? If you’re craving a dose of nature and coastal charm, a visit to Galveston Island State Park is just what the doctor ordered. Home to over 2,000 acres of natural landscape and scenic coastline, there are tons of island activities to enjoy here. 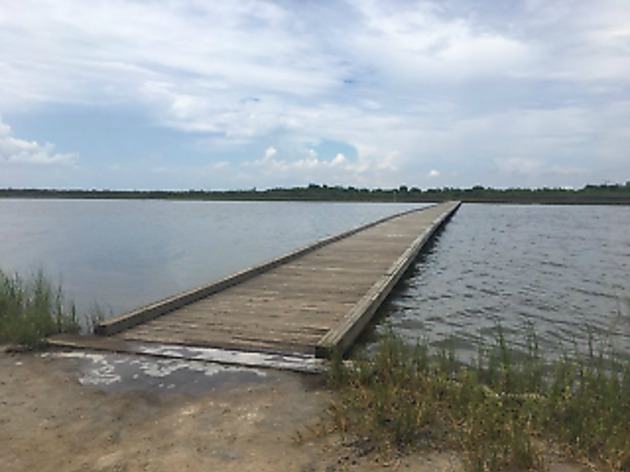 Admire the views of the park’s marshes, wetlands and estuaries; go hiking or biking on picturesque trails; or, simply pack a picnic and lounge on one of the park’s beaches. What is it? 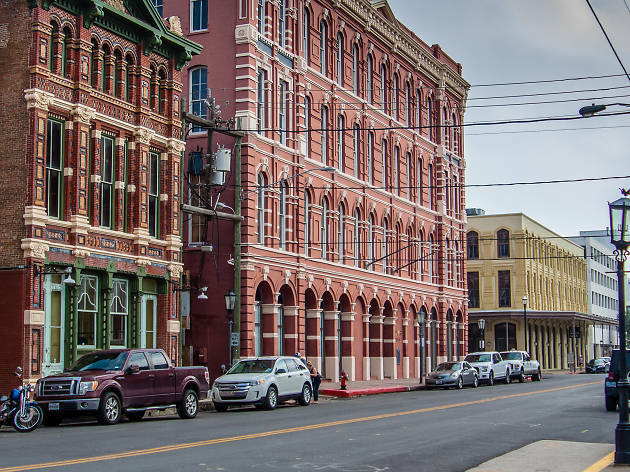 Spread across five blocks in downtown Galveston, the Strand Historic District is home to a variety of art galleries, shops and restaurants, in addition to several majestic historic buildings. Why go? This National Historic Landmark District not only has some of the cutest shops and best waterfront restaurants in Galveston, but the buildings themselves here are simply beautiful: Soak up the eye-catching Greek Revival and Victorian architecture as you stroll around, ideally with an ice cream cone in hand. What is it? A 26-acre aquatic extravaganza that’s widely considered to be the best waterpark in Texas. Why go? One of the all-time best attractions in Galveston, Schlitterbahn is a great place to bring the kiddos. 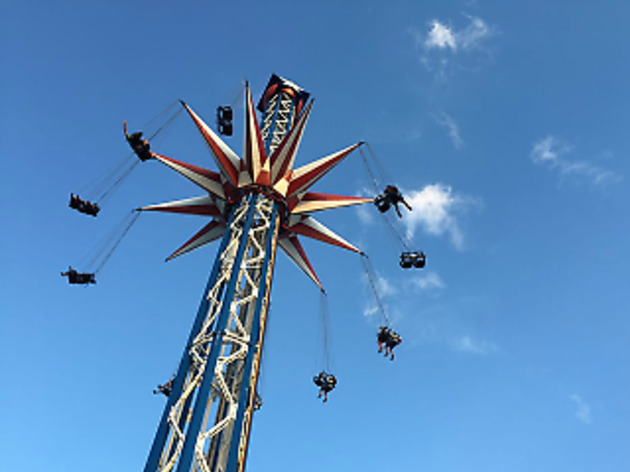 There are 33 incredible rides and attractions here, including several high-speed slides, kid’s water playgrounds, lazy rivers, wave pools and water coasters, in addition to plenty of snack bars, restaurants and even a swim-up bar. What is it? The city’s famous seaside boulevard and urban park. Why go? 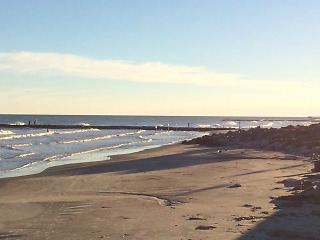 The Galveston Seawall is a hive of activity, from the beaches to the many tourist attractions and restaurants located here. Whether you want to take a sunset stroll, bike along the oceanfront (the nation’s longest continuous sidewalk is located here! ), eat tasty seafood or just people-watch, the Seawall is the picture-perfect spot to do so. What is it? 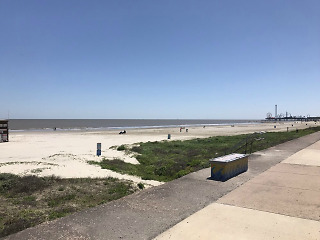 Galveston’s premier stretch of sand and family beach park, Stewart Beach is located where Broadway Avenue and the Seawall connect. Why go? This is Galveston’s best beach for families, thanks to the pretty stretch of coastline and abundant amenities offered here: Stewart Beach has several concessions, restrooms, showers, beach volleyball courts, chair and umbrella rentals, covered tables, a children’s playground and a pavilion. Plus, there are always trained lifeguards on the lookout, so particularly if you have kids, this beach is likely your best bet for a fun day in the sun. What is it? 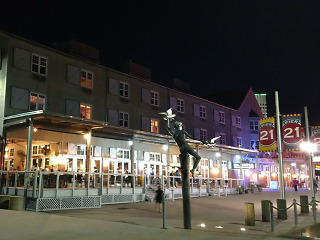 Located on Galveston’s historic harbor, Pier 21 is a waterfront dining and entertainment district that’s home to three museums, a variety of restaurants, upscale lodging and other tourist attractions. Why go? Regardless of whether you want to eat good food, duck into a museum or two, go to the theater or just drink in the coastal scenery, Pier 21 is a fabulous place to do so. Check out BayWatch Dolphin Tours, which offers daily 45-minute tours that allow visitors to see dolphins in their natural habitat, or stop by the Texas Seaport Museum, home of the 1877 Tall Ship Elissa. 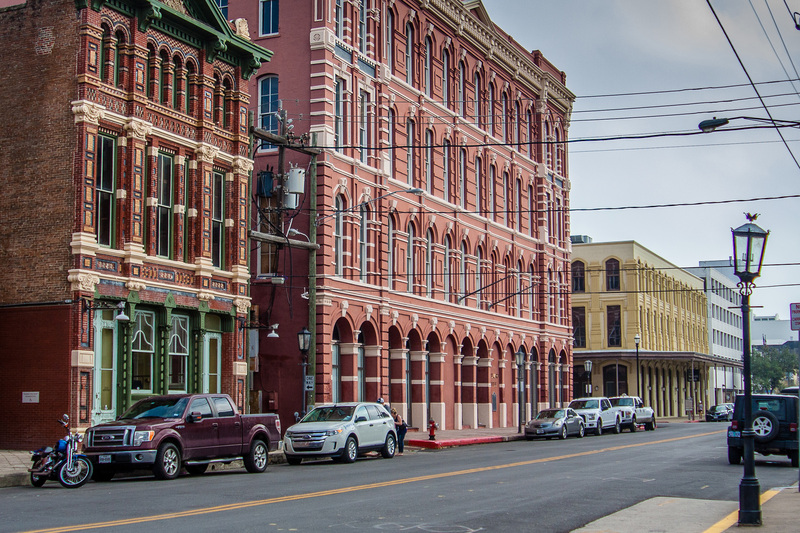 In addition, the Pier 21 Theater regularly shows three documentary films that chronicle the major events of Galveston Island, if you’re interested in learning about the history of the area. What is it? 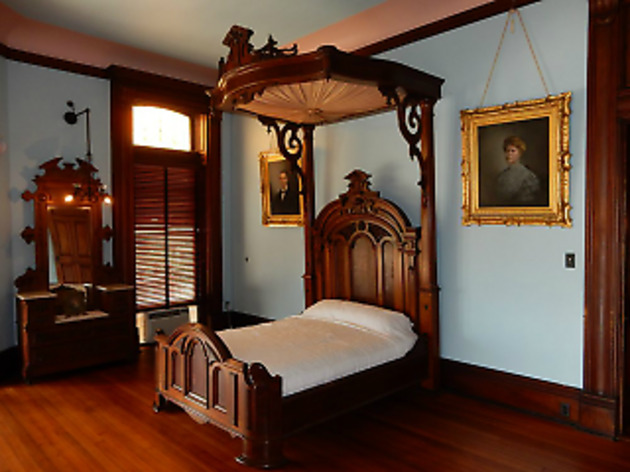 Also known as Gresham’s Castle, this Victorian-style home is Galveston’s most famous building. Why go? Cited by the American Institute of Architects as one of the 100 most important buildings in America, Bishop’s Palace is a national architectural treasure. The home is named after Civil War Colonel Walter Gresham, for whom it was built, and today, it’s undeniably the grandest house around for miles. The intricate carvings, stained glass, sculptures and other flourishes are simply stunning, and the guided audio tour is well worth doing. What is it? A lively amusement park perched on Galveston’s historic pier with a wide variety of rides and fun attractions. Why go? Originally built in the late 1940’s, the Galveston Island Historic Pleasure Pier was an iconic family vacation spot – until Hurricane Carla struck, in 1961. 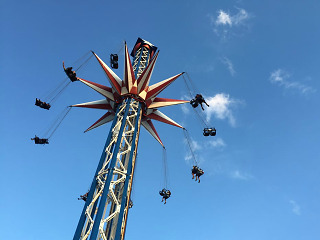 Thankfully, the park has since been rebuilt, and today, it’s a wonderfully nostalgic, sprawling pier featuring 16 amusement rides, tons of fun games, live entertainment and plenty of dining options. A day spent at Pleasure Pier will delight everyone, adults and children alike.